Author Nancy Bilyeau Says "Take The Plunge And Be Ready For Anything!" You are here: Home / Interview / Author Nancy Bilyeau Says "Take The Plunge And Be Ready For Anything!" By now you know I love interviewing authors—and it’s extra special when those authors are already my friends. Nancy Bilyeau and I are in the same author support group (and that is an accurate discription) called Book Pregnant. Before I knew Nancy I’d never read Tudor fiction — let alone Tudor fiction about a nun. For the post I wrote about Nancy’s first book, THE CROWN (complete with photo!) click here. When I emailed Nancy her questions, I assured her that WFW readers liked their blog posts with a hearty helping of honesty. Below, Nancy Bilyeau lays it on the line. She’s direct, yet she’s hopeful and encouraging. Who of us aren’t? Please welcome Nancy Bilyeau to WFW! Nancy: I am not so sure it’s the character itself that always demands a series but the combination of character and chosen world. I suppose there are exceptions–such as Lee Child’s ex-army MP Jack Reacher or Sue Grafton’s private investigator Kinsey Milhone. Each of those main characters are so fascinating, you’d follow their stories even if they started working the register at 7-11. But with my novels, I take a character–a half-English, half-Spanish headstrong young aristocrat who wants to be a nun–and I put her in a very specific time and place: England in the 1530s, when Henry VIII was destroying the monasteries of his country. So right away I have that very serious source of conflict running through the books: This is a spiritual person wanting to practice her faith in a time when it was difficult and dangerous to do so. There is always another plot powering one of my novels–a search, a conspiracy, a love, and sometimes all three of those things at once–but the inherent conflict exists. I’ve had a lot of feedback on Joanna, and most readers like her intelligence and sense of integrity, but also some people feel frustrated when she does something they don’t want her to do. I find that interesting. Everyone says readers hate passive characters, but Joanna is almost too independent for a small percentage of readers. I never get bored with her. I can’t explain what she is to me. Stephanie Meyer once said that Bella Swan was like her daughter. Joanna is not a daughter to me, or a sister. And she’s not my alter ego. I’d never even met a nun before I started writing her, and I’ve had to do a lot of research to make sure she’s authentic. It’s more like Frankenstein’s Monster, but in a good way. Joanna is attractive 🙂 I’ve brought her to life and I feel very protective. Amy: Shoving aside the changing nature of publishing and the fact that there’s no “sure thing”–what is your plan/vision/hope for your books and the stories featuring Joanna Stafford? Nancy: I’m finishing the third book in the series now. It’s called “The Covenant.” After that, I’m not sure what I will do. I am totally ready to keep going. Or I could take a break and write a different character in a different time. I was at a brunch and I said I was thinking of doing that and a woman who’s read and liked my books said, looking worried, “But your books will still have religion in them, won’t they? And you won’t leave the Tudor period?” Well, if I wanted to write another book about spirituality in the 1530s and 1540s, I’d keep going with Joanna! I would almost feel as if I were betraying her to write a different person in the same time. Amy: Would you share with us one thing we don’t know about Joanna? Something that is part of her history or just hasn’t made it into one of the books? Is there something you’d like to discover about her as you continue writing? Nancy: I don’t think I’ve held anything back about Joanna. I’ve thought about her a great deal and put it all in the books. I would like to keep going with her as she becomes a wife and a mother. I’m not saying that this would necessarily happen–SPOILER ALERT. 🙂 But I would love to discover how she copes with that part of life. Amy: What’s your best advice to an author, whether published or aspiring, who’s considering writing a series? Nancy: Writing a series is wonderful but it’s also very tricky. As writers, we need to produce a book a year or every two years at the most, to keep the momentum going and that is especially true with a series. But publishers want to “wait and see” with a new series before they commit to buying and scheduling them. They want to know: Is it going to catch fire? In today’s publishing climate, it’s unusual to have a multi-book commitment right away, although they do happen, as with my friend Laura Anderson and her new “Boleyn king” series. And yet, here’s the problem: if you put out a book and wait and see the response and THEN if it’s positive, you start writing the next one, you’re hopelessly behind in the production cycle. You are now doubtless waiting to read my solution to this conundrum–and I don’t have one. I would really love to hear what other authors this about this, actually. But I guess my advice is: Take the plunge–and be ready for anything! Nancy Bilyeau is a magazine editor who has worked on the staffs of Rolling Stone, Good Housekeeping and InStyle. 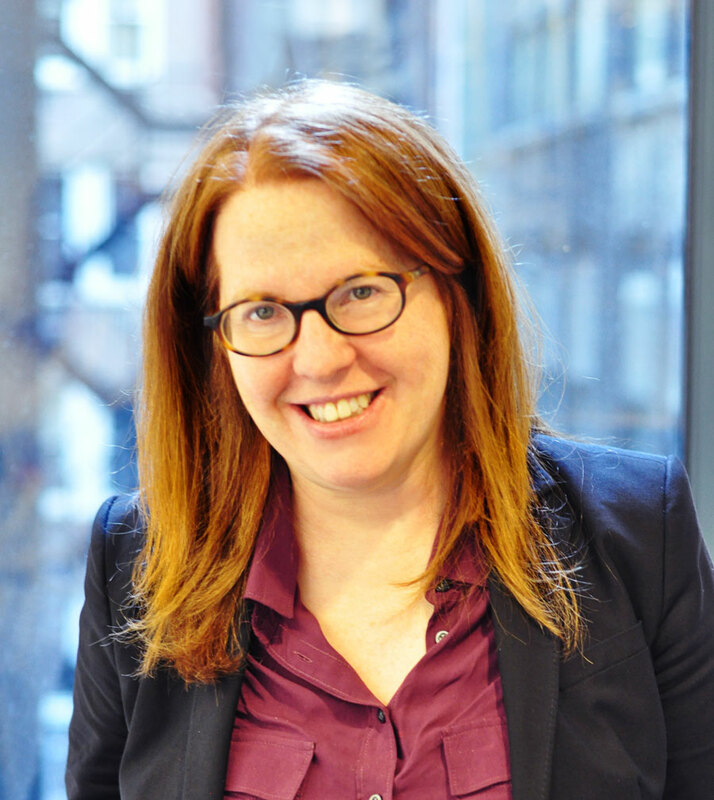 She is currently the executive editor of DuJour magazine. The Crown and The Chalice have been published in six languages, and The Crown was short-listed for the Crime Writers Association’s Ellis Peters Historical Dagger Award for 2012. 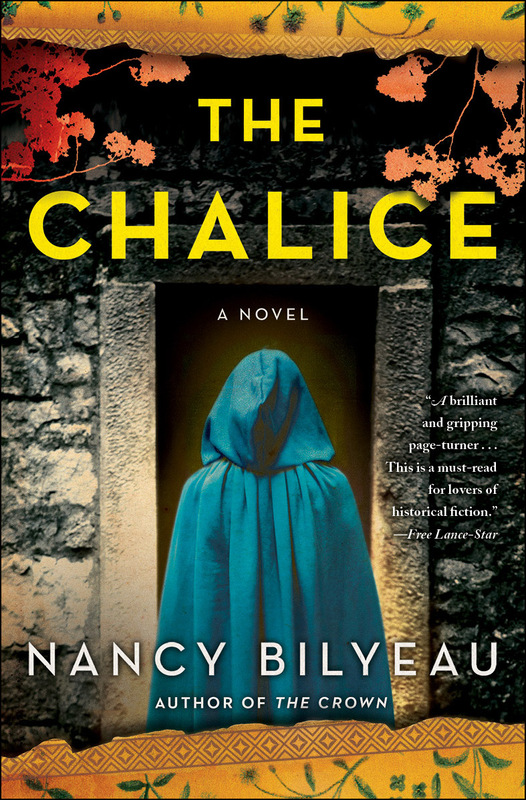 The Chalice comes out in trade paperback March 18, 2014. It’s already for sale in hardcover (3/2013) and ebook. The Crown came out in hardcover and paperback in 2012. The third book is The Covenant–no publication date yet! « Big Book Giveaway Winners Announced! Love this. Especially the comments you received from some who’ve been angered by Joanna’s actions. I have readers taking a look at my second Beaufort book right now, and one of them said she had to put the manuscript down when she got to a particularly painful part–it made her so angry. Her expectations after reading Becalmed were for another sweet book. I wonder if writers of same-setting books that carry over characters often run into this. The premise for Becalmed was sweet, and my others don’t quite hit that same tone, but I’d love to know if other writers feel compelled to maintain levels of action/sweetness/angst/whatever in their stories, especially if the main character changes. I’m always in awe of writers who can maintain the momentum it takes to write a series. Great post! Thank you, Denise Webb! Normandie, it’s interesting and a little scary how much people get vested in the characters. Some of the reviews for The Chalice said they wanted to “reach in and stop her.” Also a fair number of readers disagreed with her choice when Joanna fell in love. I guess we want them to be invested, but… I mean, I’ve felt like slapping characters, my own and others’, but I hate the idea that folk will stop reading a book because the character doesn’t behave exactly as they wish her to. Didn’t you want to slap Lizzie Bennett a few times? And conk Darcy over the head with a frying pan? My mama and I are watching old takes of the Good Wife because a friend’s husband will have a major role in the next season, and I want to yell into the television to tell Alicia to monitor her kids’ Internet use. We’re a mess, every one of us. Looking forward to reading yours, Nancy. I’m new to this website but — what do you know? — I started reading on just the right day, because the complications of writing a series is important for me. I recently published a mystery with a protagonist who is married to a Foreign Service Officer. I envisioned a series in which each book would take place in a different Embassy Posting. Thing is, I knew the first setting, Senegal, really well because I’d lived there. To write another in a different locale would require a LOT of research and there’s that whole “Do you write the second before the first one is published?” — I didn’t — conundrum. But I’d love a reason to have to visit Bali!! OMG! I meant to say that “…the complications of writing a series ARE important…” Hope you’ll still respect me in the morning! Carole, don’t you hate it when your thoughts zip on past your fingers and you don’t even realize it until you’ve hit Send? We’ve all done it, I promise you. Carole, research can really set a thriller apart. I traveled to England for a week to research my books although it all took place 500 years ago. The only structures used in my first two books that are still standing from 1537 are the Tower of London and Malmesbury Abbey. For modern day stories, on the ground research is really important to describe setting and capture the culture. But yes, if you need to do travel for every book in a one a year series, that will have to be figured into your time frame and budget.